Triangle Pawn address, phone, website, hours of operation, and more. Triangle Pawn promises to buy, sell or loan on nearly everything of value. Locally owned and operated, our staff has served the greater Beaumont, TX area since 1985 with multiple locations. 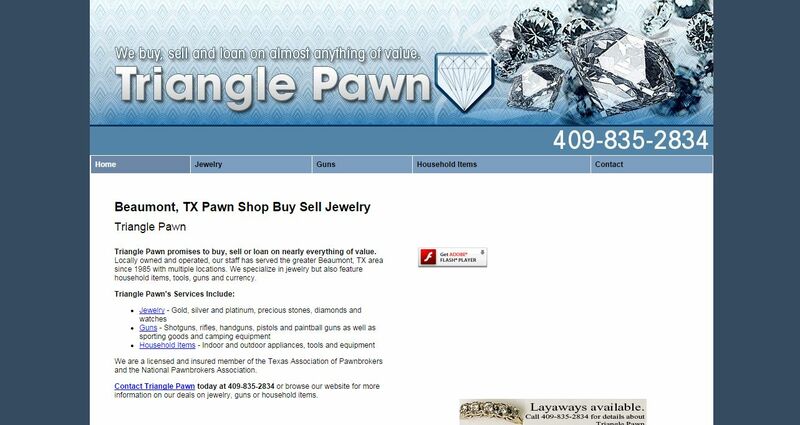 We specialize in jewelry but also feature household items, tools, guns and currency.